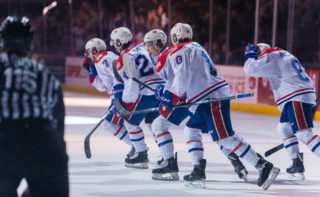 SPOKANE, Wash. — The Spokane Chiefs completed a five-game season sweep against the Kootenay ICE with a 5-2 victory on Saturday night, marking the Chiefs’ third-straight win and fifth in six games. 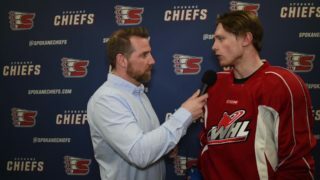 Just as they did Friday versus Victoria, the Chiefs put three goals in the net during the first period including markers from Jaret Anderson-Dolan, Jack Finley and Riley Woods. Kootenay’s Martin Bodak scored to make it 3-1 headed into the first intermission. Finley recorded an additional goal in the second period to earn his second multi-goal game this season. Following a second Bodak goal that made it 4-2, defenseman Bobby Russell drove the net and slipped one past Kootenay goaltender Curtis Meger to push the lead back to three goals. Rookie forward Connor Gabruch picked up the assist on the Russell goal to extend his point streak to four games. 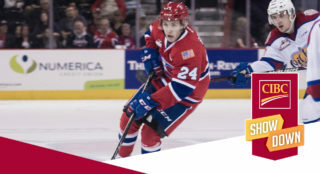 The Chiefs fended off four ICE power play opportunities throughout the third period as both sides were held scoreless in the frame despite combining for 28 shots on goal, the most of any period. 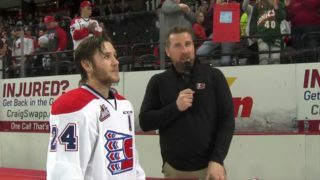 Spokane’s Bailey Brkin, starting back-to-back nights for the Chiefs, was 29 for 31 in the net against his former team. Meger finished the night 34-for-39 for Kootenay. The Chiefs were 1-for-4 on the power play and a perfect 7-for-7 on the penalty kill. The win puts Spokane at 64 points in the standings, seven behind Portland for second place in the U.S. Division. 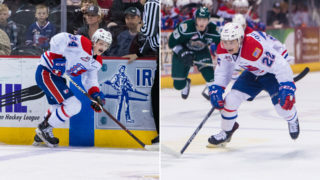 Saturday night’s game was the final between Spokane and Kootenay, as the ICE will relocate to Winnipeg for the 2019-20 season, ending the long-standing geographical rivalry. 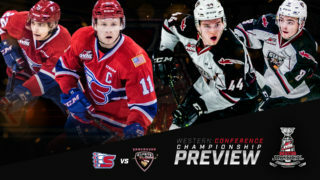 The Chiefs are back in action Tuesday, February 12 as they take on the Red Deer Rebels for TicketsWest Player Magnet Giveaway Night. The first 1,000 fans in attendance will receive a player magnet courtesy of TicketsWest.